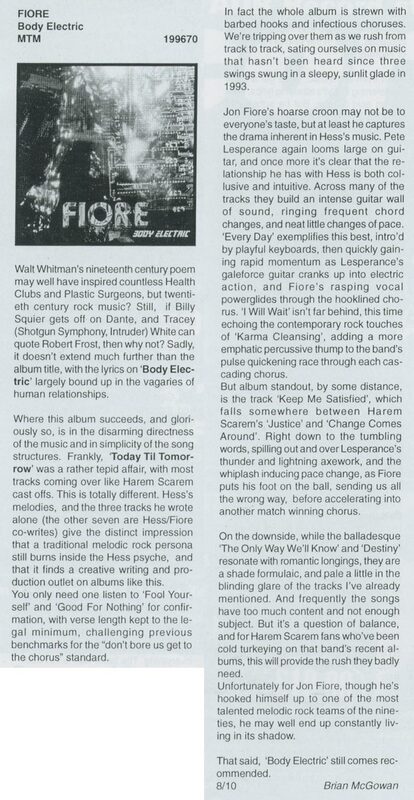 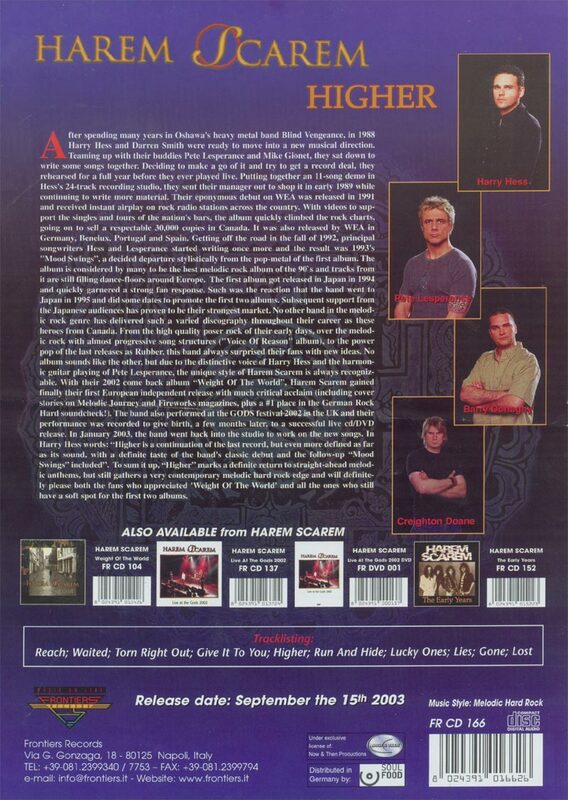 Frontiers leaflet for the Higher album. 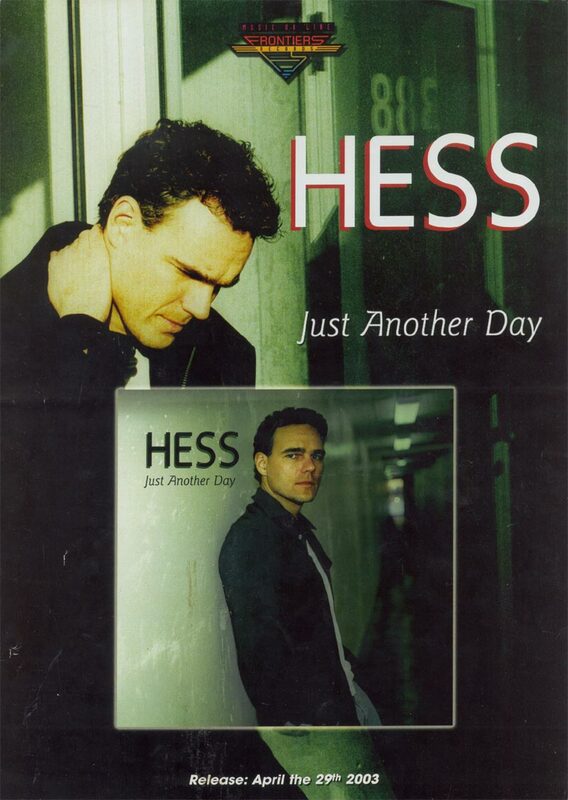 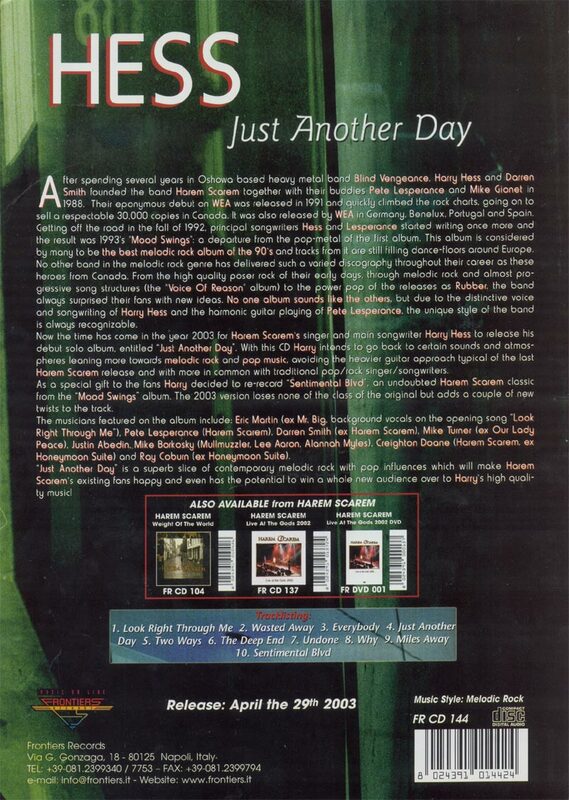 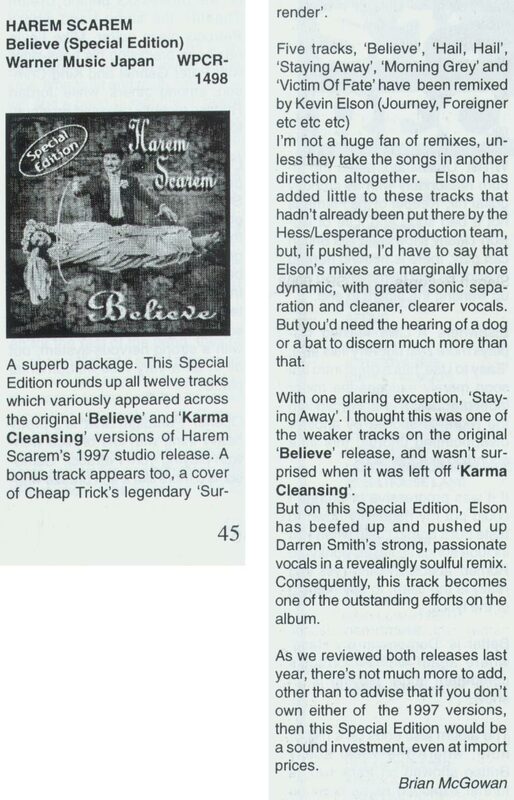 Frontiers leaflet for the Just Another Day album. 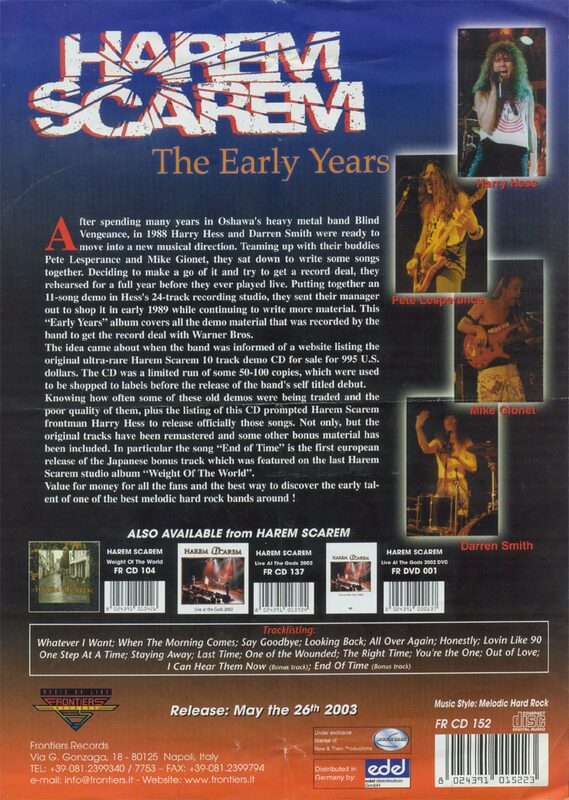 Frontiers leaflet for the Early Years album. 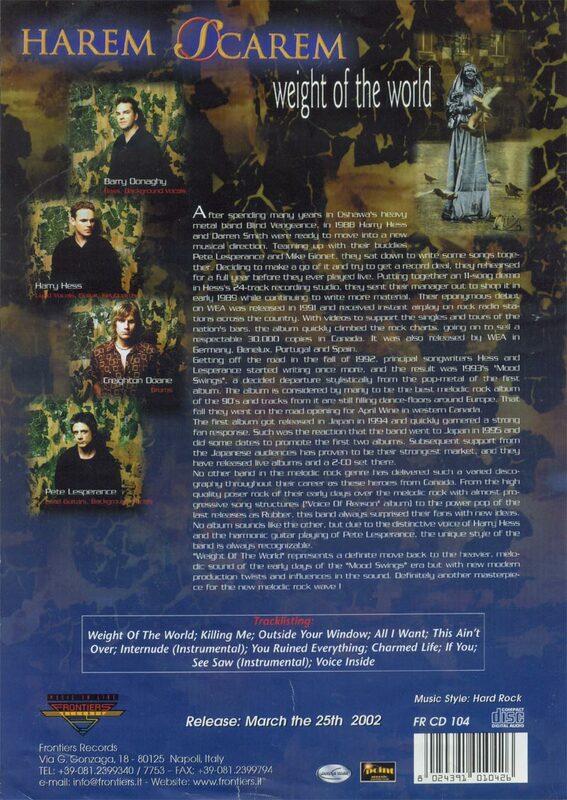 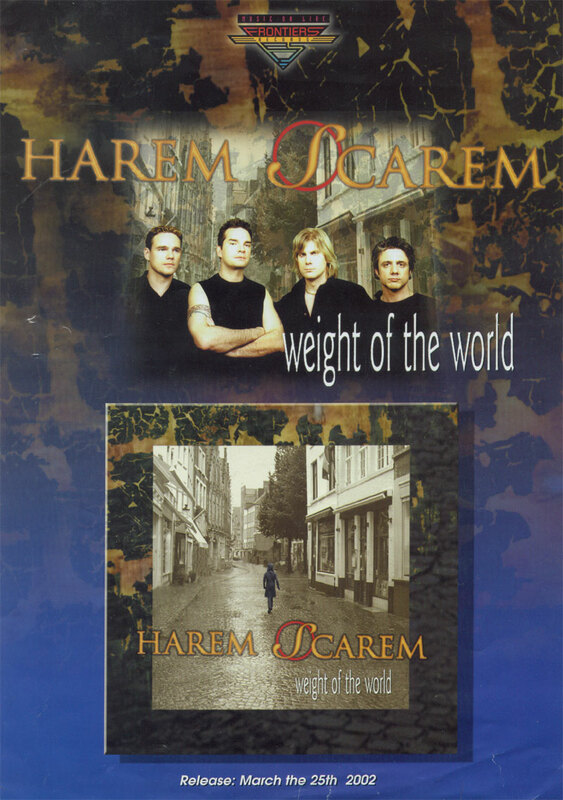 Frontiers leaflet for the Weight Of The World album. 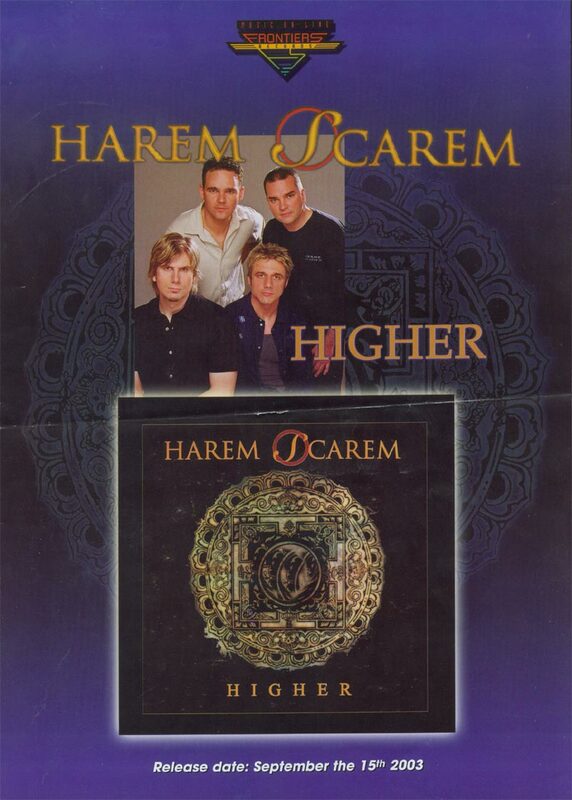 My backstage pass for the Harem Scarem show in Augsburg / Germany on June 5, 2002. 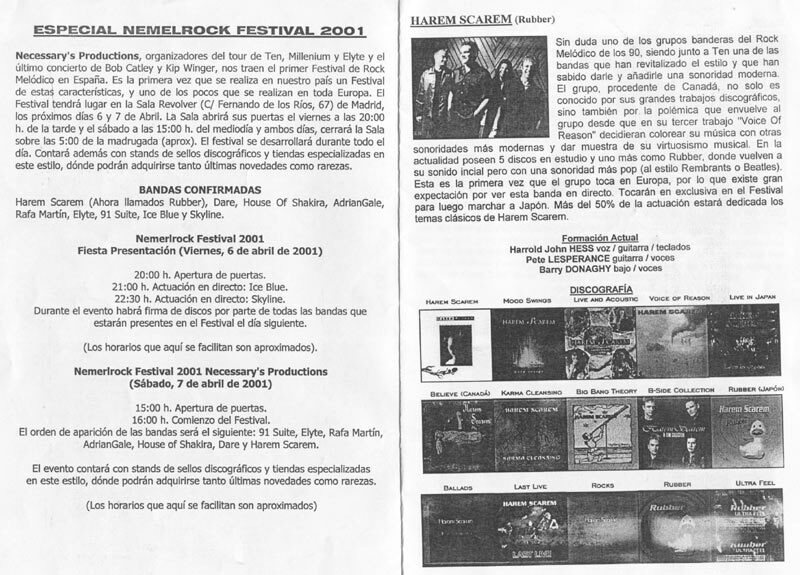 Info brochure for the visitors of the Nemelrock festival 2001 in Madrid. 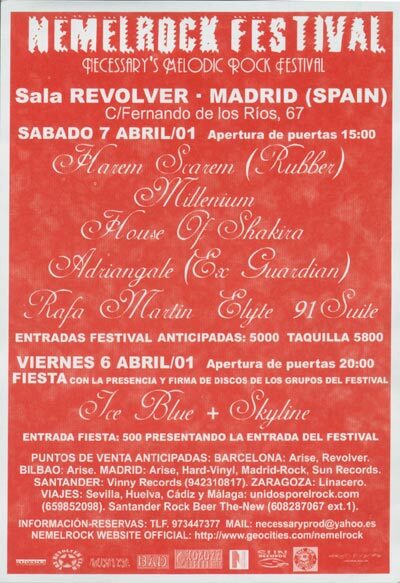 Small promo leaflet for the Nemelrock festival 2001 in Madrid. 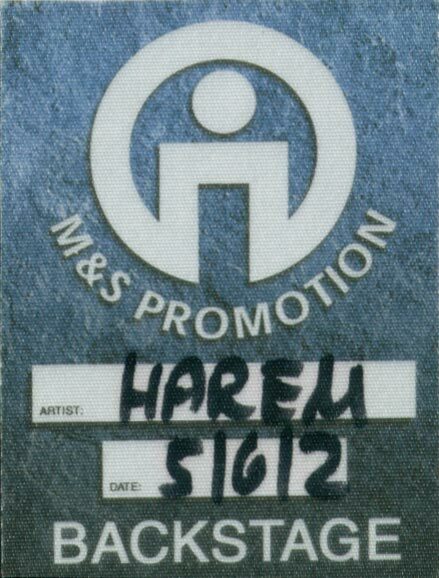 My backstage pass I used through the days on the festival.